The new undersea cable enhances connectivity between Northern and Central Europe on the RETN network. 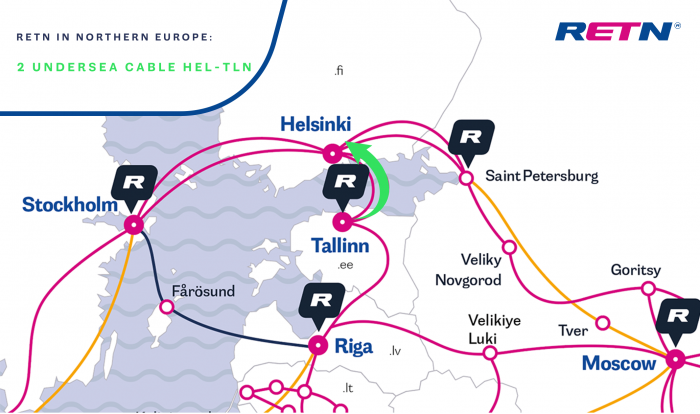 Directly connecting two data centers in Helsinki (Elisa DC) and Tallinn (Telia DC), the new link complements the existing subsea system to improve the speed, performance and resiliency of the connections for customers in the region. To support continuous network development in Northern Europe and to offer new connectivity possibilities to customers, RETN has recently deployed a new PoP in Helsinki, located at Equinix HE6. The PoP has become the 5th on-net location on the RETN network in Finland.